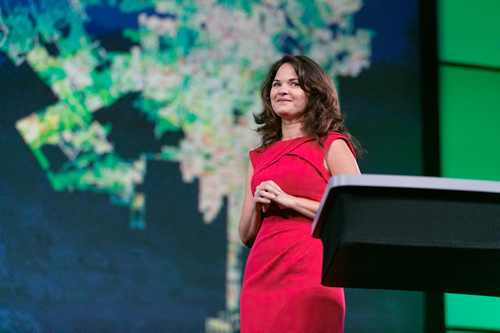 The theme of this year's Esri User Conference was GIS—Enabling a Smarter World. From Lilian P. Coral with the City of Los Angeles to Lamar Gardere with the City of New Orleans, speakers at the Plenary Session showed how their organizations creatively use Esri ArcGIS to shape smarter—and safer—communities. Read the article. At the Esri User Conference, Lilian P. Coral from the City of Los Angeles demonstrated how the Los Angeles GeoHub works. 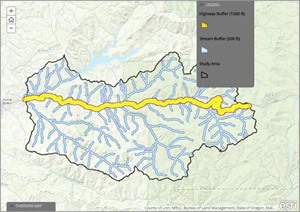 Learn how to configure a legend or overview map when building an Esri Story Map Journal. Esri technology evangelist Bern Szukalski gives you the step-by-step instructions. Read the tip. New Jersey residents can use a new GIS-based crowdsourcing web app to report and map cases of illegal dumping. The state's Department of Environmental Protection hosts the app, which is accessed through web browsers on mobile devices. Read the article. Fonterra, a farmer-owned dairy company based in New Zealand, hired GPS-it to create an app to help farmers identify waterways and protect water quality on their land. GPS-it used Esri's AppStudio for ArcGIS to create the app. Read the article. More than 700 maps were submitted to the Map Gallery competition at the Esri User Conference this year. Mark Harrower from Esri profiles the best maps as chosen by the judges. Read the article. Esri's Crista Crum interviews Lilian P. Coral about how the City of Los Angeles uses data and apps in its GeoHub to address issues such as pedestrian safety, public transportation, and homelessness. Watch the video. Nick O'Day from the City of Johns Creek, Georgia, gives Esri's Bern Szukalski insight into why the city launched an open data portal. Watch the video. Paul Caffery from Pacific Gas and Electric tells Esri's Helen Thompson why the utility considers GIS so valuable, especially during emergencies. Watch the video. Students are invited to enter Esri's Global Content Challenge. Tell a compelling scientific story using the Esri Story Map Journal app and data from the Living Atlas of the World. 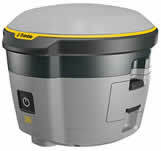 The winners will receive cash prizes of $10,000, $5,000, and $2,000 or the equivalent value in software. Enter today. Learn how to author a time-enabled web map using the Time Aware configurable app template from Esri. Users can then visualize your map data over a period of time. Read the tutorial. View a time-enabled map in action. Esri collected questions about ArcGIS Pro during the 2016 Esri User Conference. Find out the answers to your most pressing questions about this powerful ArcGIS for Desktop application. Read the blog. With the new Esri Story Map Crowdsource app, it's easy to set up and manage a crowdsourced story to which anyone can contribute. A vetting function lets you review and approve contributions. Build a crowdsourced story map. Easily find, use, and upload scripts, code, add-ins, widgets, and more, with the global ArcGIS community using the new ArcGIS Code Sharing gallery. Browse the gallery and upload your scripts. A story map, created with the new Story Map Cascade app, delves deep into the opioid problem in the United States. The story map includes data on places where deaths due to overdoses are high or low. Explore the story map. Calling all railroad buffs: Take a virtual story map-based ride along the Cumbres & Toltec Scenic Railroad, which winds through New Mexico and Colorado. All aboard. With the Trimble R2 GNSS receiver, you can collect between submeter and centimeter positioning accuracy in real time in Android or iOS mobile devices that run Collector for ArcGIS. Order today. Esri customers with a qualifying product that includes current maintenance now enjoy free, unlimited access to self-paced e-Learning through the new training website. These seminars, web courses, and other resources will help sharpen your ArcGIS skills. Learn more. In an excerpt from The ArcGIS Imagery Book: New View, New Vision, read about how remote sensing got its start. Before aerial photography was used for military reconnaissance, cartographers took to the skies, sketching out maps from the planes. Read the blog.